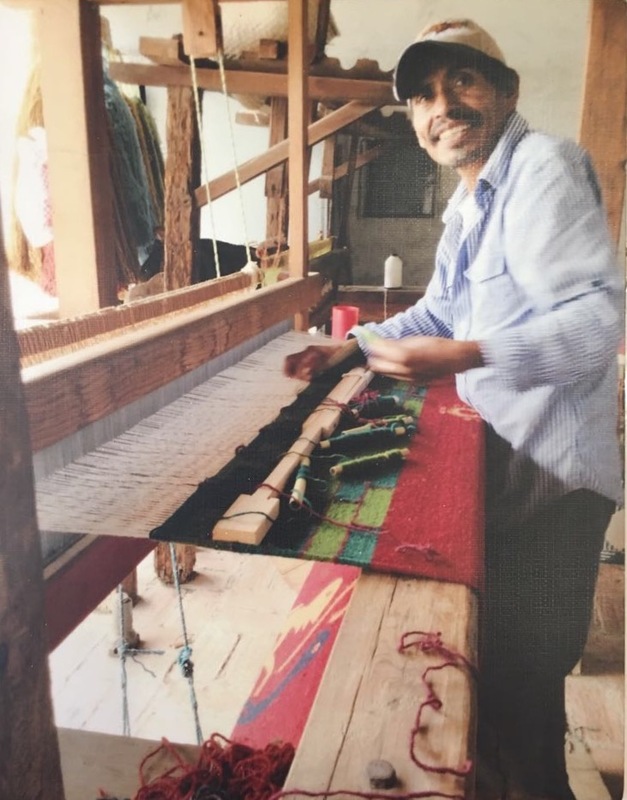 All of our rugs are made by the Contreras family of Teotitlan de Valle in Oaxaca, Mexico. The Contreras family has maintained the culture & craft of these textiles for generations. All rugs are made of 100% wool, which is sheered by both the men & women of the family. After the wool is collected and washed, it is then combed and spun into yarn using a wooden spinning wheel. Water and natural dyes are poured into a large pottery pot over a fire. All dyes are made naturally from fruits, wild plants & insects. The deep browns come from nut shells, the red from an insect that lives on local cactus within the region, the pink from bougainvillea flowers, the yellow from local pomegranate, and the green from alfalfa juice. The pots are left for an hour so that the yarn can absorb the dyes. After the dying process, the yarn is left in the sun to dry. The yarn is then washed with soap & water to remove any unabsorbed dyes, which prevents fading & shrinkage. The yarn is then woven on hand looms. Each design is left to the creativity and traditional techniques of the weaver. The more experienced the weaver, the more complex the pattern or design. All rugs are one of a kind. Dependent upon the size, a smaller/simpler rug can take one week, whereas a larger rug, more complex in design, can take up to a month. The finished rug is pre washed. Later, the rug can be washed by hand, shampooed or dry cleaned. A small rug can be washed in a washing machine.